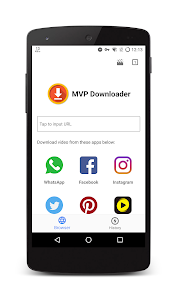 Video Downloader for Facebook . 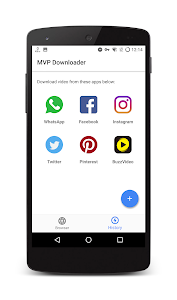 All Video Downloader lets you download videos from Facebook, Instagram, Tiktok, Twitter, WhatzApp, Pinterest, Buzzvideo and Top_buzz. Just simply tap on the video link to play, download or share it. 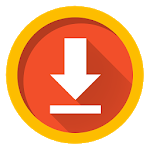 Save videos to your gallery and watch them later. Assuming such a scenario, you find the favorite video in facebook or instgram. To download them, you must first bookmark them or remember their location. Then login these websites in the internal browser and find them again so that you can download the vedio. But if you use this app, you just need to copy the download url in facebook or insragram when you find your favorite video, and we can start the dwnload. It's very simple. Just one step, you can start downloading your favorite videos. 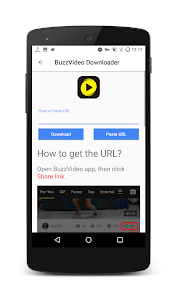 * This app is NOT affiliated with or endorsed by BuzzVideo's and TpoBuzz's official network. * This app is NOT affiliated with or endorsed by Instagram's official network. * This app is NOT affiliated with or endorsed by WhatzApp's official network. * This app is NOT affiliated with or endorsed by TikTok's official network. Fix an issue where you can't download videos from TikTok. YouTube is not supported for legal and policy reasons. If you like our app, please rate us. Similar to "All Video Downloader"